The investigation continues into why this freighter ran aground on the banks of the Delaware River today. 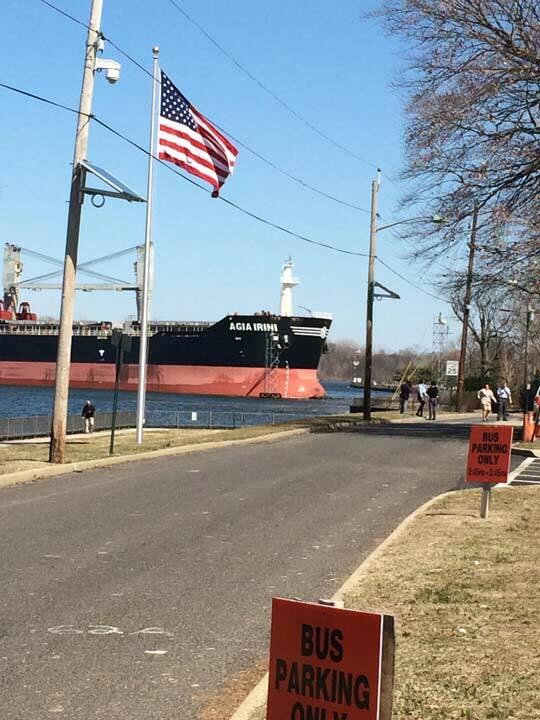 PAULSBORO, N.J. (WPVI) -- An investigation is underway into what caused a 600-foot bulk carrier ship to run aground in the Delaware River. Coast Guard investigators boarded the Agia Irini from Monrovia, Liberia Thursday morning to begin their inquiry. Dramatic video captured the incident as it happened around 2:00 p.m. Wednesday. 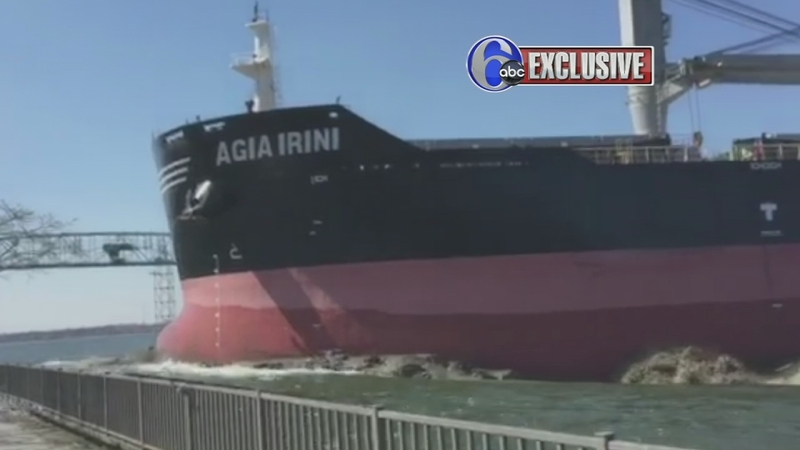 Dramatic video captured the moments a large container ship in the Delaware River ran aground near the Burlington Bristol Bridge. The U.S. Coast Guard says the ship was on its way to Tampa, Florida when it lost propulsion, causing it to run aground north of the Burlington Bristol Bridge in Burlington City. There were no injuries aboard the steel carrier, and no fuel leaked into the river as a result of the incident. The vessel was re-floated, then towed to the Mantua Creek Anchorage port facility in Paulsboro, N.J., where it remained on Thursday. Bystanders who witnessed the incident Wednesday said it was a frightening experience. Jeff Jones said it looked like the Titanic was coming at him. "I didn't think it was gonna stop. I thought it was just gonna run toward me... saw that big bow coming after me," he said. Andrew Acholes was there as well. "You could tell it wasn't gonna be turning at all because of how fast it was coming, and it wasn't adjusting, making any attempt to turn," he said. Acholes was fishing with Jones when he shot the dramatic video as the freighter came to a stop in the mud, just feet from shore. "It scared the heck out of us, and we didn't know what the heck was going on," said Jones. Witnesses said it took tugboats 15-20 minutes Wednesday afternoon to pull the ship from the mud, point it in the correct direction, and move it downriver. The ship is considered to be on administrative hold, either anchored or docked, while the incident is investigated.